Intel will pay $63.54 a share in cash for the Israeli company, which develops "autonomous driving" systems. Announcing the deal, Intel said that as cars "progress from assisted driving to fully autonomous, they are increasingly becoming data centres on wheels". Betsy Van Hees, analyst at Loop Capital Markets, said Intel had very little presence in the automotive market, "so this is a tremendous opportunity for them to get into a market that has significant growth opportunities". Timothy Carone, a Notre Dame University academic, said: "Major players are finding ways finding ways to position themselves for a change as seminal as the personal computer revolution." 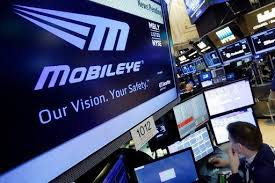 Mobileye was founded in 1999 to develop "vision-based systems to improve on-road safety and reduce collisions". 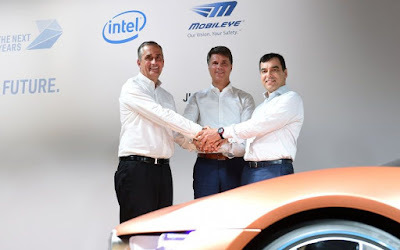 The company, along with Intel's automated driving group, will be based in Israel and led by Amnon Shashua, Mobileye's co-founder, chairman and chief technology officer.